WASATCH MOUNTAIN STATE PARK — When nature calls, we can all agree it is a call that you must answer. This can become especially important when riding, camping, or hiking in Utah’s beautiful mountains. As such, an important aspect of park management is establishing clear paths and trails from one area to another; such as campsites to restrooms. Earlier this autumn, 14 staff members from the University of Utah Career and Professional Development joined members of our OHV Program and Utah State Parks staff to work on overgrown portions of trail at the Little Deer Creek Campground at Wasatch Mountain State Park. 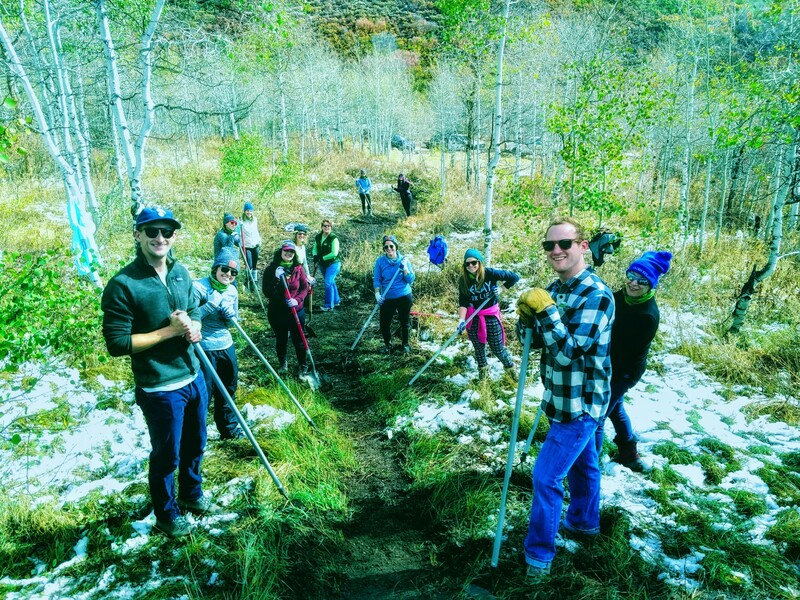 Fall is the perfect time of year to improve a trail like this because the coming snowfall serves as a good compactor. The result: a stable trail in the spring and summer months. The project began in the early morning. Because of their hard work and dedication, the volunteers were able to complete their work by lunchtime. 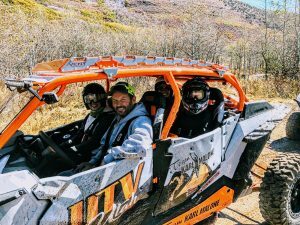 Just as the volunteers finished the final touches on their project, the sound of motors filled the air as members of UTV Utah and the Utah ATV Association rounded the bend in their machines. 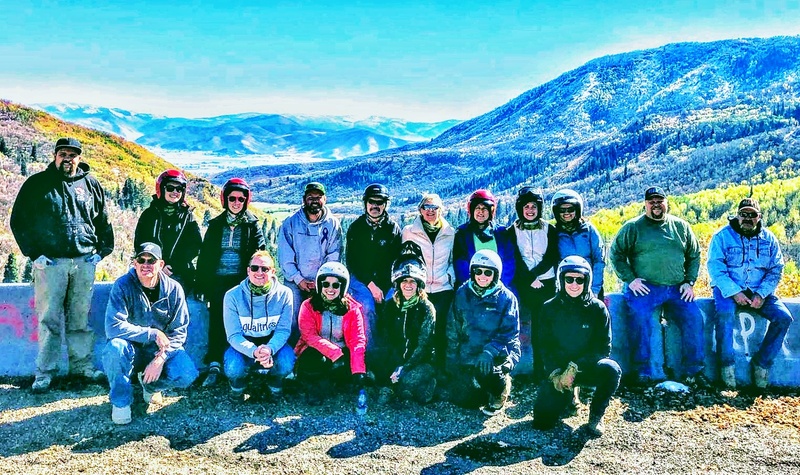 Members of the three organizations then took some time to get to know each other and shared their passion for the sport and what it takes to help protect Utah’s recreation resources. 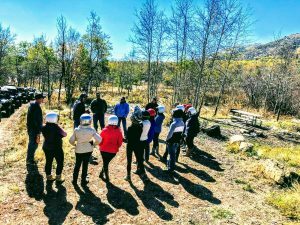 After digesting both lunch and a healthy amount of information, the U of U staff strapped on their helmets, hopped in the club members’ UTVs, and took a well-deserved tour of the park. White smiles shining through dirty faces told the story of the day. This cold, wet, and exhilarating trail ride was the perfect exclamation point to an already fun-filled experience. The OHV Program would like to thank all volunteers and club members who assisted with this project. 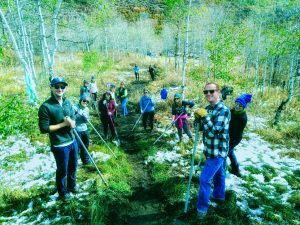 They would also like to give a special thank you to Steve Hawkins, Brett Stewart, Mary Arola and the U of U Career & Professional Development Center, as well as Utah State Parks Ranger Steve Garrick. This volunteer opportunity was made possible through funding and partnership with the Utah BLM, U.S. Forest Service, and Division of Parks and Recreation OHV Program. Curious about upcoming volunteer projects or want to learn more? Contact the OHV Program for more information by emailing ohveducation@utah.gov.